By now most of you may have heard of the relatively new but already quite popular children’s book company, Bharat Babies. Bharat Babies was established in 2013, when soon-to-be mother Sailaja Joshi realized that there just weren’t enough children’s books that featured the stories of India’s heritage. 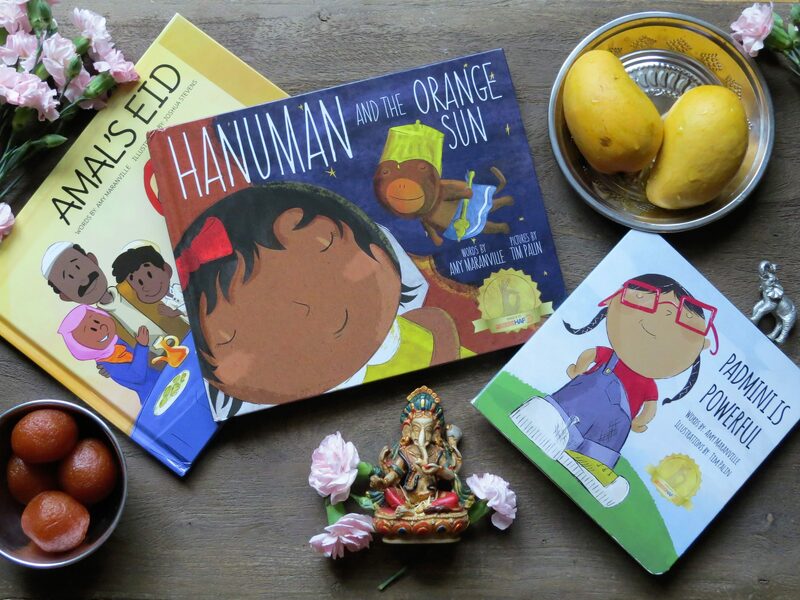 To date Bharat Babies has designed and published seven developmentally appropriate books, categorized according to three levels, showcasing the different religions of South Asia. Hanuman and the Orange Sun debuted in late 2014 quickly followed by Padmini is Powerful, Ganesh and the Little Mouse, Let’s Celebrate Diwali, Amal’s Eid, Amal’s Ramadan and the latest Sarla in the Sky which is available for pre-ordering here. Bharat Babies is quickly growing in popularity amongst South Asian families and with good reason. 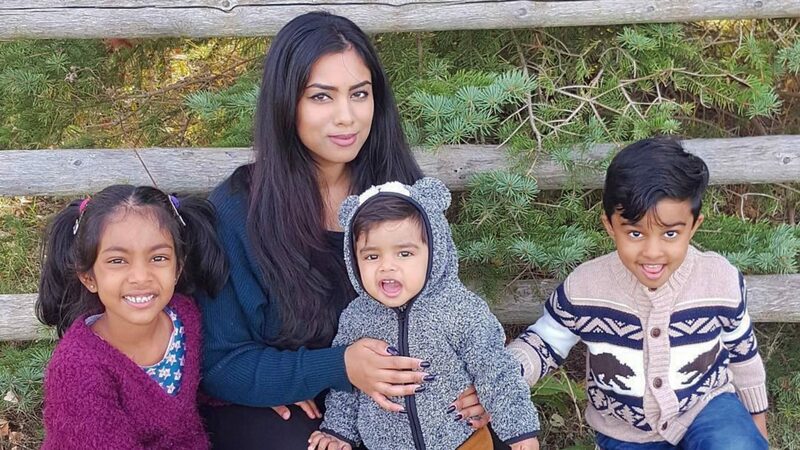 As a South Asian mother of three, I am delighted to know that there is a company out there devoted to telling the stories that I have heard and loved growing up. Although my siblings and I were all born outside of Sri-Lanka, my parents strived to teach us our culture and heritage through stories and celebrations. Religion and culture was always an important part of my upbringing and now it is an equally important part of my children’s upbringing. I am thrilled that my children can identify with the characters in the stories by Bharat Babies, even before reading the story, simply by looking at them. 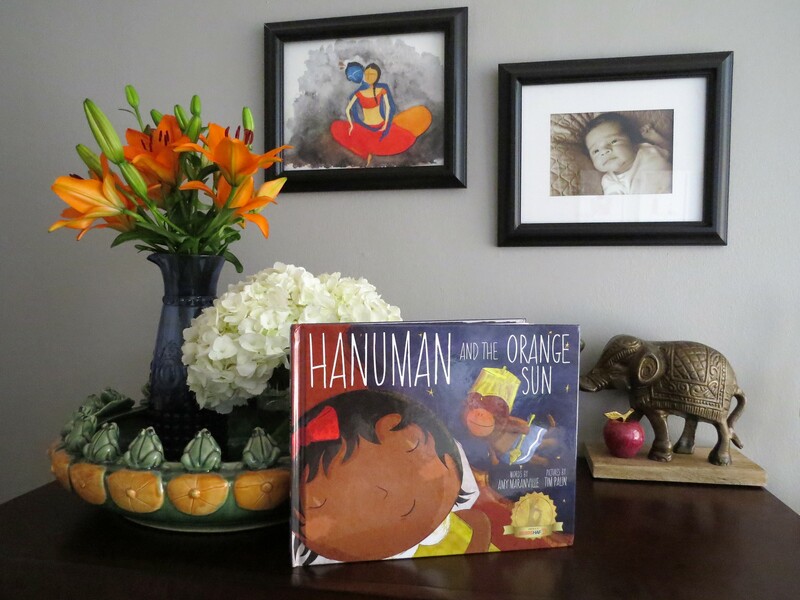 My five-year-old daughter even pointed out that the names of the little girls in Hanuman and the Orange Sun and Padmini is Powerful sound very similar to hers. How exciting is that? Perhaps what makes me the happiest is the thought that these books may eventually (ifnot already) reach a broader audience than just the children of South Asian homes. When choosing books for my children’s library, I often find myself looking for books that not only showcase diversity but celebrate the differences that make us all unique. I strongly believe that books have the ability to build bridges and diverse literature is an invaluable learning tool for all children, especially those living in multicultural countries. It will help children learn about other cultures and appreciate the different people and different cultures that surround them. The books by Bharat Babies are wonderful pieces to add to my children’s ever-growing collection of books. 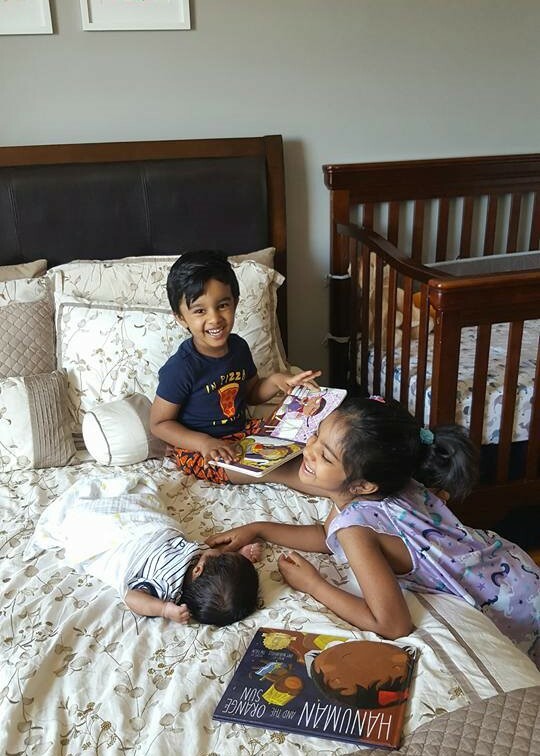 Thanks to Bharat Babies, my children have become the proud owners of Padmini is Powerful, Hanuman and the Orange Sun, and Amal’s Eid, all of which have become bedtime favourites amongst my eldest two. Their favourite title thus far (and mine as well) is Padmini is Powerful. This boardbook complete with sturdy pages and captivating illustrations introduces the youngest of readers to the world of Hindu Gods and Goddesses and their powers. 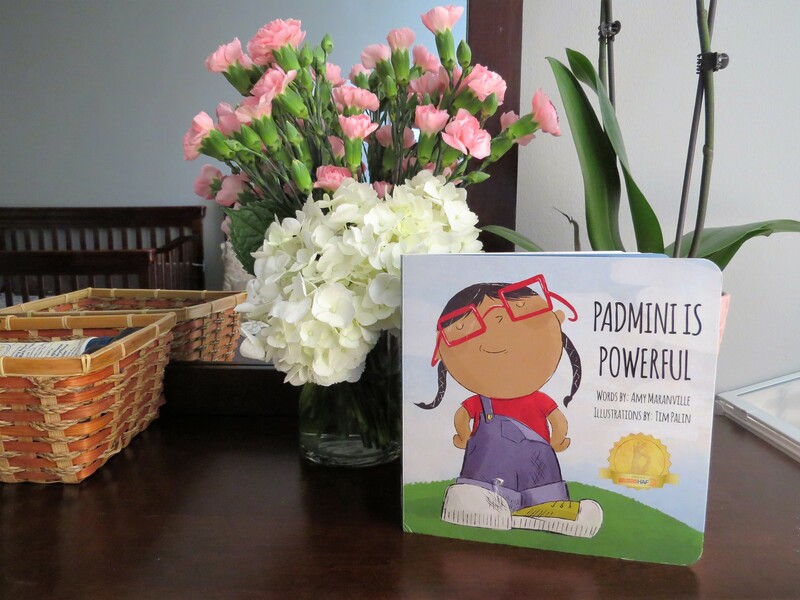 Through Padmini, readers learn that power comes in many forms and most importantly readers learn that they possess all of these powers within themselves. This boardbook features a mirror on the last page which is sure to be a hit with babies and toddlers alike. My daughter and son have been taking turns reading this book to their baby brother Vishnu so that they can show him the Hindu God that he is named after. With big sister and big brother constantly reading to him, I am sure my youngest will grow up to love these books just as much as his siblings do! My little ones are looking forward to adding more titles to our collection of books by Bharat Babies and I am definitely looking forward to seeing what the creative minds behind this children’s book company come up with next. Thanks again for the lovely books Bharat Babies — they will definitely be cherished for years to come! To learn more about Bharat Babies or to purchase their books, click here. Dr. Seuss Books: Brilliant or Just Plain Nonsense?